Aside from Auto Focus, understanding Metering Modes is a prevalent issue for beginning photographers. Learning more about these settings will help you be prepared to shoot quickly so you don’t miss or screw up important shots. It’s nothing complicated, the only real issue is not knowing. The best time to use these modes is when shooting with AV/Aperture Priority mode, TV/Shutter Priority mode or any of the other modes that don’t require full Manual or full Auto settings. 01. Center Weighted: This mode will average out the the exposure of the center of the image. This works well for portraits or close ups of objects that take up most of the image’s central area. The reading is taken from a larger central area. 02. 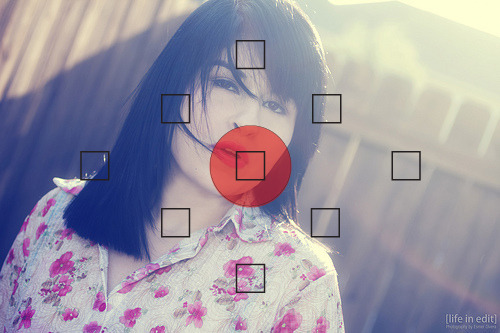 Spot or Partial: This mode will take a reading from a small 5% (spot) to 15% (partial) spot at the center of the frame. 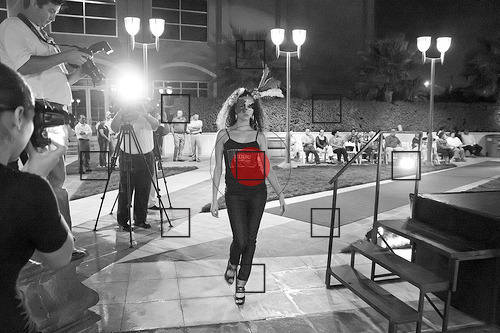 Some high end cameras will allow you to choose a point (usually an AF point) from which to get the exposure. Use this when you want to expose for small objects while ignoring most of the background. Good for back-lit images. The reading is taken from a small spot in the center. 03. 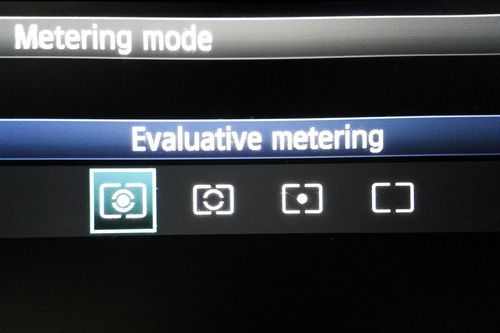 Matrix or Evaluative: This is often the default, but it can help you get some advanced auto metering. It allows you to use this in combination with auto focus points which I describe in detail in my last tutorial [Understanding Auto Focus]. It will take an average of the entire scene but place priority on the AF point selected. 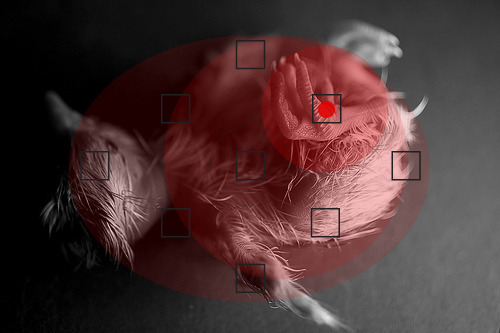 Priority is placed on the selected focus area. 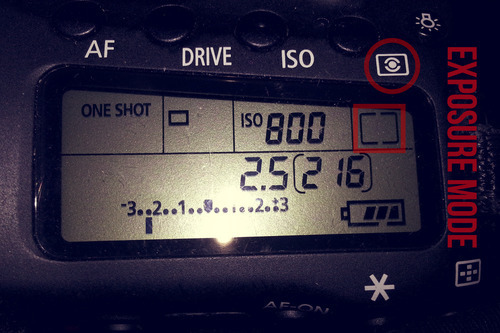 Button layout on a Canon 60D. The Exposure Mode screen on a Canon 60D. This button allows you to lock the exposure taken when you half press the shutter button. The camera will not take another reading until you either attempt to change the AF point or actually take a shot. This is useful if combined with specific modes, such as spot/partial metering, so you are able to re-compose the shot after getting a reading from a small area. The Auto Exposure lock typically looks like an asterisk. For more info on exposure such as EV Values see my other tutorial: [Explaining Exposure]. Then you’ll be ready for my [HDR Photography] tutorial.